The Short Answer: What Question? 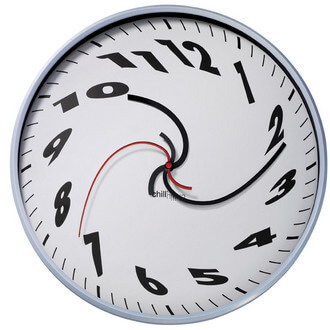 The ‘Extra’ Time and Space is Everything and Nothing Extra – Why All This? This is a continuation in the series on Rav Meiselman’s book on Torah and Science and the Controversy between R’Meiselman and Nosson Slifkin. It also might be helpful to see what a modern physicist / Chassidic Jew has to say. The narrow answer, walking through the actual text of creation, is coming. How can it be that the world certainly appears, based on cosmology and geology, much older than the about 6000 years that the Bible says? As for six days or any duration longer than “instant”, how would we know how to view things from a time scale of our Creator’s writing? It is certainly “literally” true, albeit esoteric from our perspective. It’s all a matter of frame of reference. Take a look at the great video below from “Minute Physics.” Gravitation and acceleration result in time dilation measurable even with the error in our own GPS satellites, yet we expect a story of creation to be told from an immutable time frame. Time, itself, as well as they laws of Physics are themselves being created! Clearly it’s different and there will always remain parts of our understanding (e.g. crush the universe into a singularity with an infinite temperature) or experimentation that we won’t understrand. (The video is actually 37 seconds over it’s namesake, but not if you watch it from a GPS satellite accelerating at the right speed). America was ‘discovered’ by Europe during a voyage under the Spanish crown in 1492, the same year that Jews were expelled from Spain by the same crown. The answer is always prepared before the problem. The Creator is not bound by time and doesn’t need to answer to our notions of time, space, or linearity. When Moshe [Moses] wanted to see more, he saw the knot at the back of the Tefillin … where the seemingly disparate straps (when viewed head-on) come together and it all makes sense. I’ve skimmed through early issues of Popular Science, which used to have some religious content … the problem with days of creation and religious content leaving the scene of science seems to have occurred only in the early 1900s. It was in 1905 that Einstein first published information on the relativity of time showing that it’s not linear, and finding ‘the solution’ to the problem. What is the difference between Maaseh Merkavah [accounts of ascent to the throne of G_d] and Maaseh Bereishis [creation]? Maaseh Merkavah may not be revealed even to a lone individual unless he is wise and capable of understanding on his own, in which case one may pass on to him the “chapter headings.”but maaseh Bereshis may be taught o an individual even though he is not capable of understanding it on his own. Nevertheless, one may reveal to him all that he is capable of grasping of these matters. Why, then do we not expound on it in public? It is because not everyone has a sufficiently broad grasp to comprehend the presentation and explanation of these mattes clearly.” – Rambam, Hilchos Yesodei HaTorah 4:10-11. The Torah tells us that this is all really hidden from us. Not inaccessible, but only can even be revealed to one who can understand. I don’t know what I’m talking about nor does anyone, really know. I think, however, thanks to modern physics, many more people can understand and grasp much more than in the times of the Rambam. Maybe there is a kabbalist or theoretical physicist (they often sound the same thing to me) out there today has great understanding, Still, the thing we’re trying to explain is the second most hidden topic in the world. Time and space itself is created during creation, and we, who live within both time and space and cannot avoid it expect to explain beyond it? Imagine Gumby, a stop-motion clay character from my childhood, explaining how Art Clokey‘s brain works. Now take that up an infinite level. We can only understand what is revealed to us, and even that is with great difficulty. It may well be that questions affecting the relation between science and religion received due treatment in those two departments of esoteric learning. – R’Yitzhak Herzog. When hearing a simple “frame of reference” answer for the first time, I wouldn’t be satisfied. Gerald Schroeder goes into it in much more detail; I will discuss his view and that of others in the next article. For now, the greatest mashal, or comparative story to make a point, I can think of are the hours and hours spent playing video games in my childhood. I gravitated towards the more sophisticated (“nerdy”) games. This included many life simulation games from Maxis such as SimCity, SimAnt, and SimTower. I posited in about 1990 that one day they’d come out with a game where you just played a person going through your day. Turned out “The Sims” is their most popular game yet. It is SimEarth that best helps explain, however. It’s a simulation game where you guide Earth through stages from pre-Cambrian through blasting off into space. You can see someone playing it over on YouTube. In the game you guide life from simplest to most complex by creating the right conditions. You can terraform, you can place oxygen producers and affect the atmosphere, and you can futz with the conditions of life and watch it grow. (In a much newer and related incarnation, Spore, you follow the ‘life’ of an individual species and can actually edit the functional parts of your creature. )In these life simulation games, you can’t even play in real-time where a day is 24 hours. For that, you might just step outside and watch the grass grow in a much bigger simulation . We play simulations which are simpler than ourselves with fast forwarded time. Bored? Want to get up to the part in the game where mammals are created? You set it on super fast speed … until desert takes over or your design starts going the wrong way, and you zoom in both in time or place and make some tweaks and keep going. Do i really care that I zoomed past 1 billion years to get the part of the game that I want to play? That took me maybe 10 minutes where I went to get a snack because I lost patience. This comparison, of course, breaks down when talking about an infinite who has an infinite amount of time to “play the game” and in fact, created time and dilates it even after creating it. It’s not only not fixed, it’s not … anything. Suppose G_d really did “zoom past” a few billion years in a “day” … so what? The question, again, would be why zoom past anything instead of just creating it done? To explain a bit further and borrow from Rav Shimshon Dovid Pincus‘s example, imagine a bird that take a speck of dust in it’s mouth and puts it down on the ground somewhere. It goes back and gets another spec and does this again and again … eventually, after a month, there’s a tiny pile. After a year, a bigger pile. After a trillion years, there’s a large mountain. Now we have some sense of duration of time, but the Creator is infinite in all dimensions, not just time. Is it a problem for such a Creator to create everything in six days, even if for us it takes a billion years? What’s the rush when you’re outside of time? For example, when we create something big, we consult with others (e.g. G_d says, “let us make man”; a straightforward discussion of Rashi’s explanation of this is here). So too, when we create, it takes a blue print and execution of multiple steps to create something complex. Look at the universe in any direction and there is more to see. Large: What’s outside of the edge of the universe? It seems to just expand bigger and bigger. Small: What’s smaller than a quark? Simple: A point. Complex: The brain. Why create more than a flat surface to let your creatures run around on it and serve you? Why give them the ability to deny you even exist? What on earth is that all about? Look how great the creation is, and this testifies to the planning, breadth, and greatness of amazing this infinite Creator is. Ma rabu ma’asecha! How amazing this all is! Everything testifies to the Creator and there is no limit to the progress of our understanding. Science serves to show that, not detract from it. The whole world was only created for the Tzaddik [righteous person] – various versions appear in the Midrash, Talmud, and Zohar. We all desire relationships. With our spouses, or parents, our children, and our friends. We are also created in the likeness of the Creator. So it follows that the Creator also wants a relationship … but with whom? The Creator sits alone! When I maybe 14 years old, my atheist grandfather once answered missionaries at the door with, “You expect me to believe in a G_d who is an un-sexed being?” (We didn’t always agree on philosophy, but we certainly always agreed to question things.) To love another person is to see the face of G_d! Just as the vastness of time and space teach us the vastness of G_d, all the more so, so does love. We want a relationship, and an infinite wants the relationship infinitely more! A fundamental belief from the Torah made little sense to me for years – the whole world is created for the tzaddik [righteous person]. There is a story in, I believe the Gemora, Midrash or both [source needed <grin>] of rich men with vast fortunes who find their entire purpose was to build a bench under a tree where a tzaddik stopped to rest while walking. The entire fortune of the rich man, in the end, is nothing except for the bench and tree. The rest of it all, and the rest of us, are only served by serving the tzaddik. Why? Whom to we love? When we love everyone, our relationships are spread so thin that we don’t have them. We choose whom who can, and with them with draw close. The more depth, the more meaning. The more we can do for someone, the more we can come close. We can’t really do anything for an infinite Creator, but like any good relationship, it’s two ways. One has to give to the other and give the other an opportunity to give to them. We see how G_d created the world in six days, not in a moment, so as to show us that we too go through levels of simple to greater complexity in depth and relationship. However, we will ultimately love few … as does the Creator. In the finite world which is wider than we can fathom, having parts smaller than we can fathom, and lasting a greater amount of time than we can fathom, sits one planet floating on nothingness. As wide as the skin of an apple is to the fruit is the atmosphere of the planet. Within that, are numerous creatures, only one of which ever asks, “Why?” (Thank you Michael Stevens of Vsauce for this one.) Who else even has the opportunity to connect to the Creator? Within that are the few who even try and serve the Creator, the fewer who do so every day, and the fewer who get it almost all right. Yet, it is precisely that person who G_d wants. This person won’t be born like an automoton serving the Creator – that’s no fun and that’s not much of a relationship. That’s programming, or maybe fear, but a real relationship is one of love. It is the few who come to this fully … the tzaddik with whom the Creator wants the relationship. Just as the world isn’t created in an instant, neither is the tzaddik. Just as the world goes through creation until perfection, so too does the tzaddik. We are still, at least in the moment that we overcome a negative trait, like the tzaddik in a smaller, or maybe even a larger sense. Or, we can serve the tzaddik … within us or around us. Even a kernel of grain, in Jewish thought, achieves it’s greatest tikkun [rectification with the infinite], on it’s level, when it’s part of the bread that we eat on Shabbos. If you have a question on the length of time, you also should have a question on the breadth and depth of the universe, as well. – From where, exactly is G_d telling time in the Torah? How does that fit with our frame of reference? – Matching up the “G_d time” and “Human on Earth time” in a more specific manner through cosmology and geology. – From “right” to “left” in opinions of modern Jewish thinkers on creation … from literal to relative. The source you are looking for about the tzaddik and the bench and the shady tree is in the Rambam’s introduction to Pirush Hamishnayos. He is discussing the great depth concealed within terse aggadic teachings. The aggada he is explaining is “Since the destruction of the Temple, G-d has nothing in this world except the four ells of halacha”. I think you will find that entire passage of the Rambam fascinating and it underscores the point you are trying to make with this post.